Wishing Wednesday | My Girl / Gee Whiskers! For those of you who follow me on Instagram, you would have seen that I posted a few photos of my engagement and wedding rings with the hashtag #ShimanskySelfie. These were entries into the competition Shimansky is running on Instagram where each week they choose a winner based on the photos submitted. 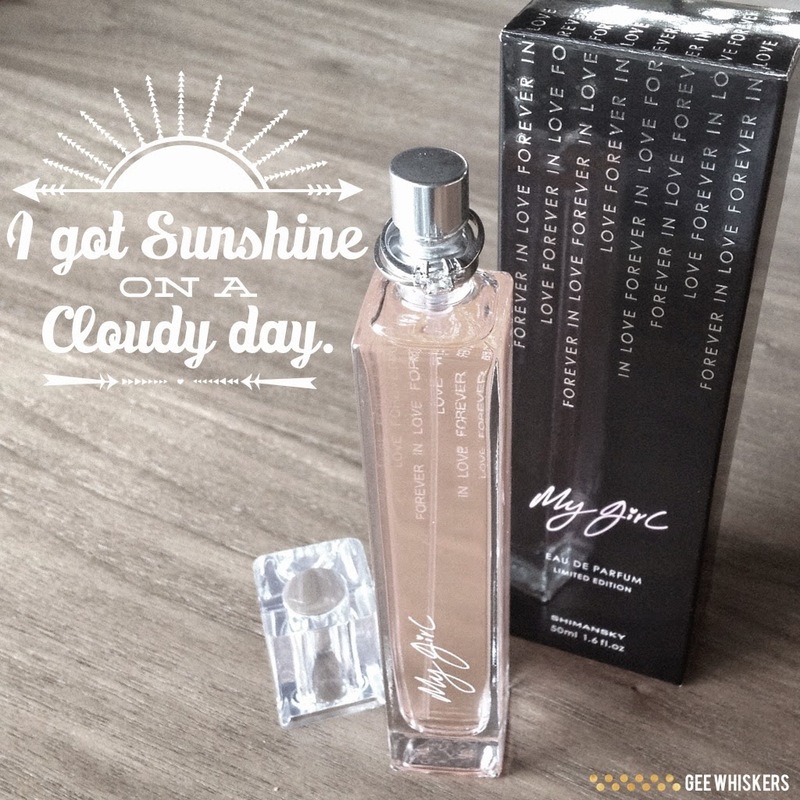 I was lucky enough to be chosen as the Week 2 winner where I won a bottle of their limited edition "My Girl" perfume. Ever since I got my engagement ring I have wanted this perfume, because the diamond is cut into their patented "My Girl" cut. The My Girl Perfume is a really fresh perfume, actually not at all what I expected. It has a flowery top note balance with hints of melon and peach. It settles on a rose and jasmine note with base notes of wood, musk and light spices. It is a really unique scent that is feminine and sophisticated. Thank you so very much to the Shimansky team for selecting me as a winner and to my Instagram followers for tolerating all the photos. PS. Here is the winning photo. This was my personal favourite entry because it has a quote from my favourite author. Ooooe it looks so pretty.. It is very pretty! Couldn't wait to open it up and spray it all over me.